A low-profile design, keeping the screen within 2 inches of the wall. +15°/-5° adjustable, locking, one-touch tilt. One integrated adapter plate that quickly hooks to the wall plate for convenient assembly. 75 and 100mm VESA compatibility. A scratch-resistant, fused epoxy finish, available in black. Easy installation with all necessary hardware included for cinderblock, concrete and single wood-stud mounting. 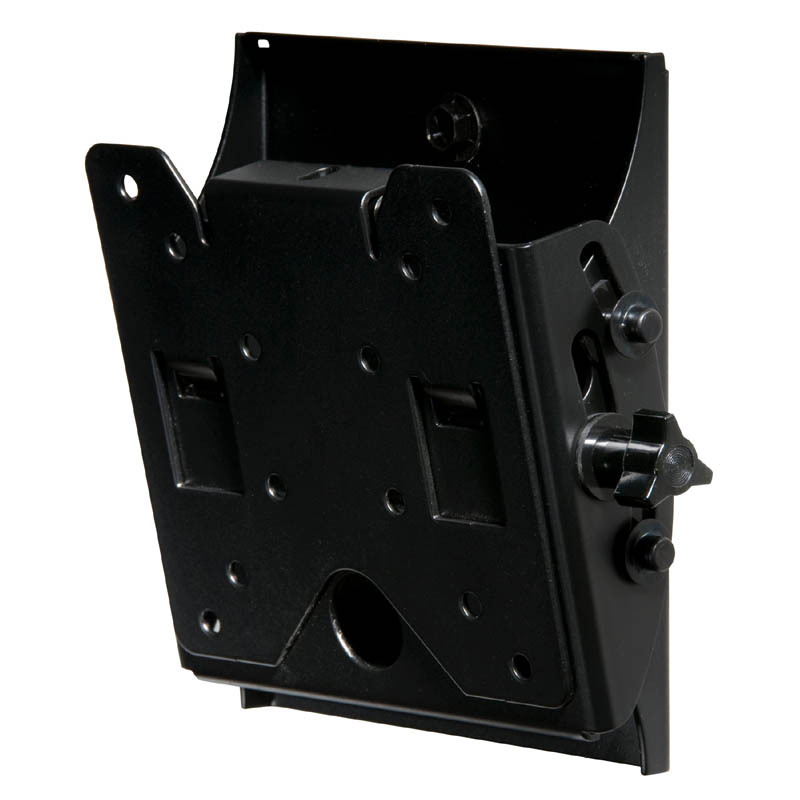 10-29" flat screens up to 80 lbs with 75 or 100mm VESA mounting patterns. Use Peerless's Mount Finder tool to confirm compatibility. Sound confusing? Call our Sales Team for help!